The dignitaries and award recipients gather for a group photo. Left to right: Cardinal Dolan; Robert H. Niehaus, Chairman and Founder, GCP Capital; John G. Stratton, Executive Vice President and President of Customer and Product Operations, Verizon; Catherine R. Kinney, Chair, The Catholic Charities of the Archdiocese of New York Board of Trustees; and Msgr Sullivan. Left to right: Cardinal Dolan, who had just concluded his remarks waits for the applause to subside; Robert H. Niehaus, Chairman and Founder, GCP Capital; John G. Stratton, Executive Vice President and President of Customer and Product Operations, Verizon; Catherine R. Kinney, Chair, The Catholic Charities of the Archdiocese of New York Board of Trustees; and Msgr Sullivan. Left to right for the second “Deus Caritas Est Award” presentation: Cardinal Dolan; John G. Stratton, Executive Vice President and President of Customer and Product Operations, Verizon; Catherine R. Kinney, Chair, The Catholic Charities of the Archdiocese of New York Board of Trustees; and Msgr Sullivan. Robert H. Niehaus, Chairman and Founder, GCP Capital delivers his acceptance remarks. Behind him is Cardinal Dolan on the left. On the right is Catherine R. Kinney, Chair, The Catholic Charities of the Archdiocese of New York Board of Trustees; and Msgr Sullivan. A large whale hands from the ceilin over the guests in the Milstein Hall of Ocean Life. Tables are lit with candles. Cardinal Dolan mingled at the cocktail hour with guests. The cocktail hour was shared with the dinosaurs. 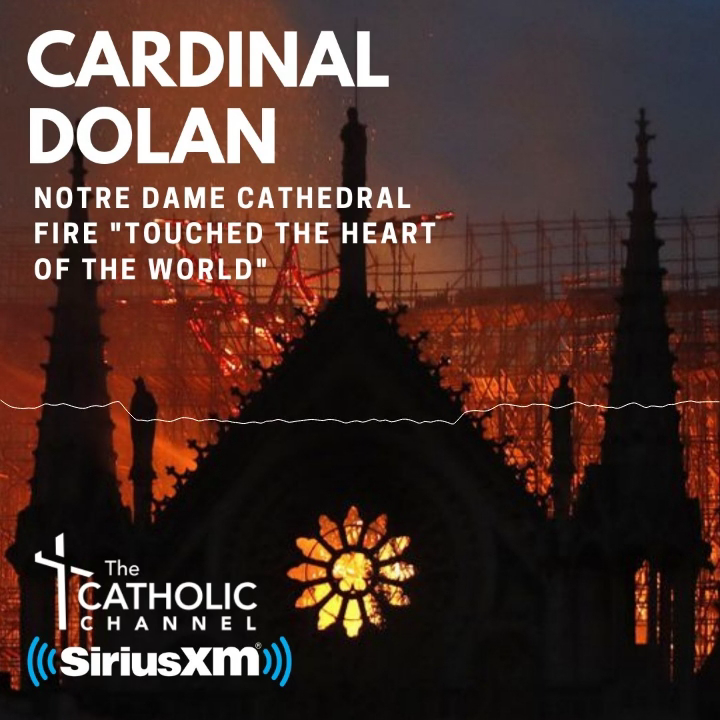 Cardinal Dolan delivered his closing remarks. On the right are, left to right: Robert H. Niehaus; John G Stratton; John G. Stratton, Executive Vice President and President of Customer and Product Operations, Verizon; Catherine R. Kinney, Chair, The Catholic Charities of the Archdiocese of New York Board of Trustees; and Msgr Sullivan. Cardinal Dolan applauds the “Deus Caritas Est Award” recipients as he delivered his closing remarks. John G. Stratton, Executive Vice President and President of Customer and Product Operations, Verizon delivers his acceptance remarks after he was presented with the first “Deus Caritas Est Award”. Robert H. Niehaus, Chairman and Founder, GCP Capital delivers his acceptance remarks after he was presented with the “Deus Caritas Est Award”. Janinah Burnett and Alvin Crawford performed during the evening. Remarks were delivered by Msgr Kevin Sullivan, Executive Director, Catholic Charities. Rev. Eric P. Cruz, regional coordinator of Catholic Charities for the Bronx, and Pastor, Church of St John Chrysostom in the Bronx delivered the Invocation. Fire Fighter William Arce of Engine 281 sang “God Bless America. MC Lynda Baquero, a reporter with NBC 4 New York is on the left. The table was set with white hydrangeas and blue table cloths.